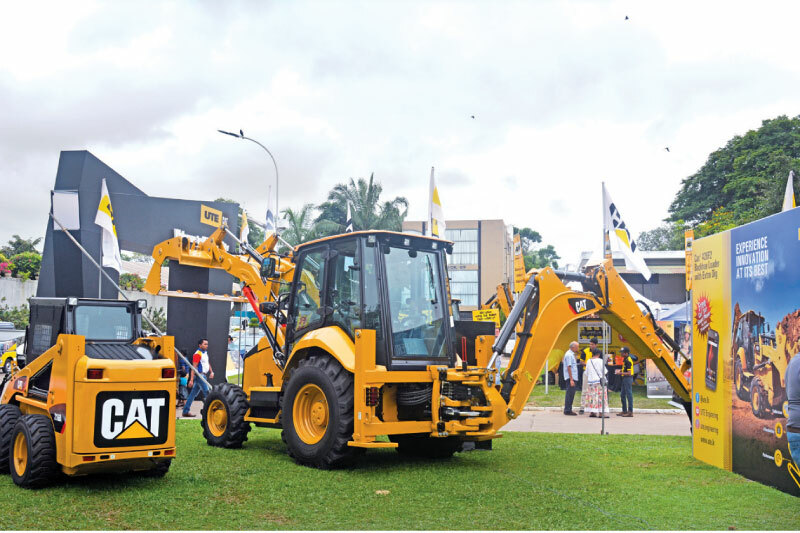 United Tractor & Equipment (Pvt) Ltd (UTE), was chosen from among the global dealer network to unveil the new 426F2 Backhoe Loader at the recently concluded ‘Construct 2018’. Organised by the National Construction Association of Sri Lanka (NCASL), and held for 18 successive years, ‘Construct 2018’, is the country’s largest event dedicated to infrastructure and heavy construction industry. The must-attend event, enjoys a successful legacy of exhibiting the full spectrum of solutions the construction industry has to offer. UTE was the main sponsor in the Construction Machinery & Equipment category at the event. Adding to the popular CAT F2 series backhoe loader family, the new CAT 426F2 backhoe loader provides all the performance, manoeuvrability and reliability customers can expect from the Caterpillar brand. Additionally, the new model’s extra dig feature which has been a long felt need in the industry demonstrates UTE’s role in serving its customers. “The fact that UTE was chosen from amongst all dealers in the world to launch the CAT 426F2 Backhoe Loader bears testimony to our commitment to excellence both in the sphere of service and technological innovation. The design of UTE CAT city, the equipment, technology and solutions on display manifests our innovative culture and spirit,” said Prasan Fernando, Chairman UTE. While visitors and customers from different parts of Sri Lanka had an opportunity to experience the new CAT 426F2, the first ten customers at the Exhibition received a CAT S41 Smartphone, the new rugged mobile with unique features ideal for individuals engaged in the construction industry. The installation and use of remote monitoring in equipment was demonstrated and received accolades from industry leaders and experts as being the ideal solution to ensure optimal usage of machines with minimum down time. Several visitors to CAT City at the exhibition, including engineering students and technicians participated in interesting competitions and interactive activities. Students engaged in the study of hydraulics took part in a competition to design a circuit for a UTE hydraulic simulator.